HeTo deliver this best mobile user experience to our customers, we already launched our HelpCrunch app for iOS earlier this year. 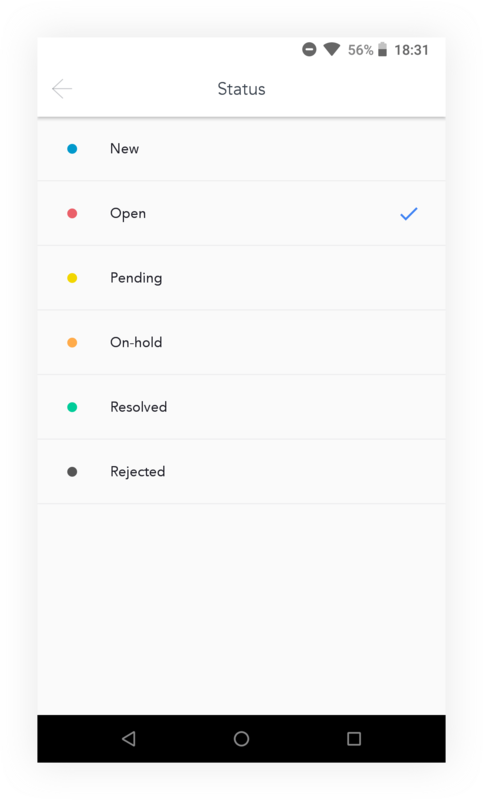 Great usability, quick and responsive interactions – all this is an amazing HelpCrunch app for Android, already available on Google Play. 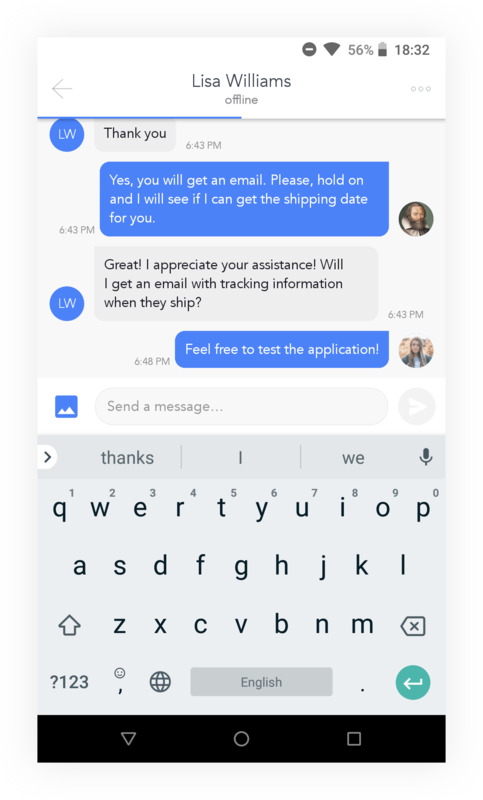 Slick UI and super-simple navigation make talking to customers a real pleasure. Instantly reply to your visitors’ requests, collect their contact details, engage people proactively and sell your products anywhere, anytime. HelpCrunch gives you great flexibility. 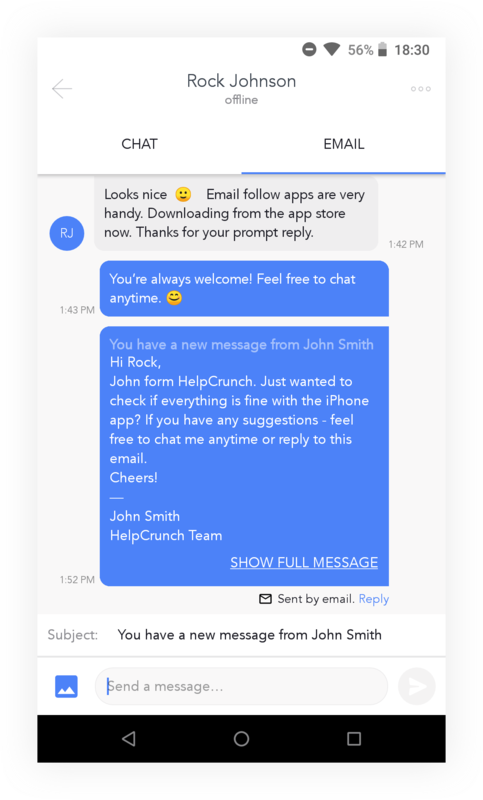 Launch email follow-ups right from the chat window and never miss a lead! All communication with a given person is kept in the same thread with unlimited chat history. Assign communication statuses to your customer interactions to stay organized and prioritize your activities. Get a clear view who among your customers is online. 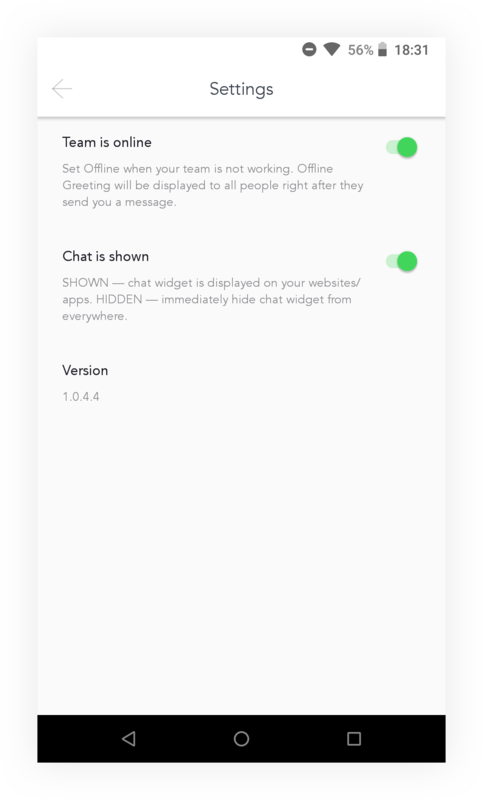 Display or hide the chat widget from your website or app whenever is convenient for you. Switch your support status into online/offline depending on your team’s availability. Download HelpCrunch on Google Play now and check out the great user experience it offers you!